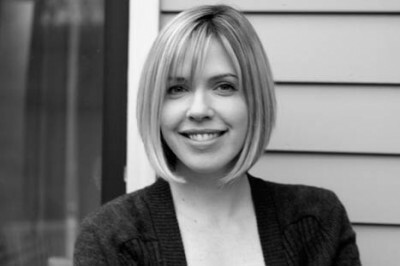 Synopsis, taken from dust jacket of book: In her twenties, Emily Wilson was on top of the world; she had a bestselling novel, a husband plucked from the pages of GQ, and a one-way ticket to happily ever after. Nearly a decade later, the tide has turned on Emily's good fortune. So when her great-aunt Bee invites her to spend the month of March on Bainbridge Island in Washington State, Emily accepts, longing to be healed by the sea. Researching her next book, Emily discovers a red velvet diary, dated 1943, whose contests reveal startling connections to her own life. I've read a few books lately that have received 5 stars in my reviews - Along for the Ride by Sarah Dessen, Wondrous Strange by Lesley Livingston, and The Iron King by Julie Kagawa. As good as they were - and they really were terrific, the last two were the best faerie stories I've read so far, hands down - The Violets of March is in a category all its own. This was the first book in a really long time that I couldn't put down - literally. I had other things to do that didn't get done, and I stayed up way later than usual because I had to finish this book. I knew it would drive me crazy if I didn't. 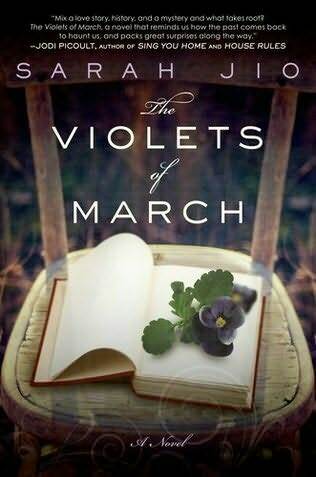 I saw reviews for The Violets of March all over the blogosphere and I loved the title and cover, so had to reserve it from the library. Then I was even more excited to read it when I followed Sarah on Twitter and she followed me back. Then, one day I tweeted that I had hit the 67,000 word mark with my novel and I was almost done, and she tweeted me a congrats and told me we were writing twins because she was about to hit the 67,000 word mark on her 3rd novel. I was so excited - encouragement from an actual, successful author - something that I hope to be someday. So, I decided that out of my 11 library books, I would read hers next and I was so glad I did. Now I need to buy the book and have it on my shelf because I know I'll want to read it again. I love Sarah's writing style - it's so simple and straightforward, and yet there are parts that are so beautiful, I read them three of four times before moving on. I realize now that I should have written those parts down, but when I buy my own copy and re-read it, I'll mark those spots with my little coloured sticky notes. As a lover of words, that's one of my favorite parts of reading a really great book - when you read something that just stands out and makes you smile. The mystery in this book was amazing and kept me so engaged and interested and curious - I couldn't wait to find out what would happen. There were so many twists and turns that no matter how hard I tried to piece it together, I just couldn't figure it out until near the very end, just before all was revealed to Emily. It was a story within a story - Emily's story, recovering from her divorce, trying to learn to move on with her life - and the story within the red velvet diary, the mystery that she knows has significance and will have an impact on her life. Along the way, between real life and the life within the pages of the diary, Emily learns so much about herself, her history, life, love, loss and family. She discovers how tightly people guard their secrets, and that things aren't always what they seem. I enjoyed watching her grow and learn to move on, and I liked how she got to relive the past a bit with a former love, but ultimately discovered that you can't live in the past, and she was able to allow herself to explore a new love interest and learn from the mistakes of Esther, the woman in the diary. One other thing I loved, and then I promise I'll stop gushing - Bainbridge Island was the perfect setting for this book. The way it was described, the meaning and history of it for Emily, made it seem like its own character in the book. I could feel the pull it had on Emily and its other inhabitants, and see it all so clearly in my mind. I LOVED this book also! The cover caught my first and then the story - wow! I also got it from the library but now NEED to get my own copy. I don't read too many books a second time, there's just too many more to move onto but this one will be a repeater. I am thinking it might be my next pick for my book club. I also love the personal touch that Sarah has for her readers, I feel like I am her friend. I am so excited for her next book! Great review! !